Climate change is real. There are inexplicable pockets of detractors, but the temperatures over land and sea are steadily increasing, the arctic icepack and glaciers are melting away, sea levels are rising…you know the story. In an attempt to stem the environmental destruction, countries around the globe are taking measures to modify the way they live and do business. For its part, the Ontario provincial government introduced the Climate Change Action Plan in June. The 85-page document outlines the government’s ambitious plan to spend up to $8.3 billion over the next five years, including a projected $1.9 billion in its first year, to encourage individuals, municipalities and the business world to reduce their carbon footprint, while also creating new jobs and opportunities in this new low-carbon economy. Dedicated to the program’s initiatives, most of the “Green Bank” funds will be generated by cap-and-trade penalties for large commercial polluters in Ontario. One of its key inclusions is the Home Energy Rating and Disclosure (HERD)—something actively supported by OHBA. Free to homeowners, these audits will be required before a new or existing single-family home can be put up for sale, with the energy rating included in the real estate listing. Also part of the package are incentives for high-performance purchases, including rebates to individuals who buy or build their own Near Net Zero carbon emission homes, as well as for homeowners who purchase and install low-carbon energy technologies such as geothermal or air-source heat pumps, and solar thermal and solar energy generation systems. With the Province setting a target for 12% of all new vehicle sales to be electric by 2025, builders will also be required to ensure all new homes are Electric-Vehicle-Ready, meaning all homes with garages must be constructed with a 50-amp, 240-volt receptacle. 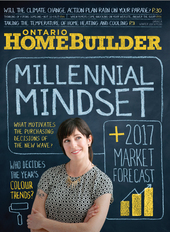 Not that Ontario builders haven’t been making huge strides on their own in recent years. With the 2017 Ontario Building Code now in effect, new homes will consume only 50% of the energy they would have in 2005. Of course, the OBC primarily deals with new construction, which comprises only 1% of the overall building stock on an annual basis. The fact that the Action Plan also appears to be prioritizing new-home upgrades as it fast-tracks the Code to a Net Zero status, as opposed to focusing on the existing housing stock, seems misguided to some. Bruce Manwaring, manager at Enbridge Gas Solution, stresses the need to keep the fossil fuel a vital part of the future energy supply, while evolving its carbon content. “We believe that greening the natural gas grid is a more cost-effective, resilient and responsible pathway to meet home energy needs,” says Manwaring. “This is the approach of leading jurisdictions such as British Columbia, California and Germany. The 76% of Ontarians who use natural gas for home heating will have to bear conversion and ongoing energy costs. Converting a home from natural gas to electricity would cost about $4,500, and the heating costs would triple—increasing by roughly $2,000 each year. 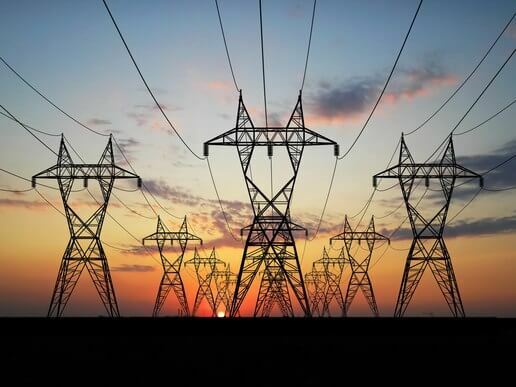 Another pressing question surrounds the degree to which the provincial electrical network needs to evolve in order to accommodate the grid that will be required by the Action Plan. “We’re lucky as it is if we can get Hydro One to have some of these Net Zero projects be able to use the grid for their battery when they come on line,” says Tarry. While there will be huge electrical energy draws in the near future that must be provided for—Go Transit electric train conversion, the Eglinton Crosstown LRT project in Toronto and managing the growth of personal EVs, to name a few—the possibility of tens of thousands of Ontario homes generating their own electricity creates new issues entirely. “A concern shared by many in the industry comes back to affordability of new homes in the marketplace,” says Weatherston.